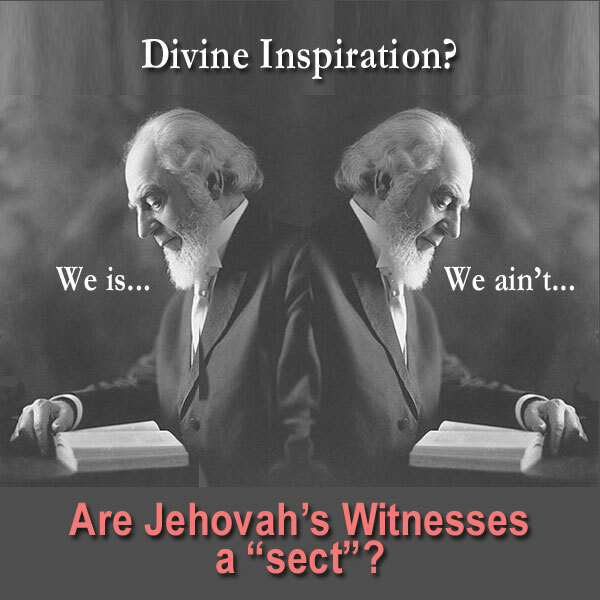 The early Bible Students (later “Jehovah’s Witnesses”) were defined as both “a sect” and as “not a sect” at various times by their own founder. Charles T. Russell (founder of the Watch Tower Bible & Tract Society) denied his movement was a “sect” in reply to a question in the October-November, 1882 Zion’s Watch Tower (ZWT)? And yet, just one year later – in the October 1883 issue of Zion’s Watch Tower – Russell actually claimed the opposite – declaring that his followers “were a sect”! Russell described these Christian “sects” as “systems of men, instead of God…” Russell’s reasoning was that they would be destroyed because they were not doctrinally united. Frequently the descriptive word “sect” is negatively applied to a religious body made up of extreme or heretical dissenters that separated from another religious body that its leaders did not agree with doctrinally. What if you had not read Russell’s claim in the 1893 ZWT that his group was not a sect and you quoted the 1883 article in all sincerity to prove that Russell claimed his movement was a sect? Could you have been viewed as being a liar? Perhaps because of confusing contradictions like these, are why JW leaders do not want modern Witnesses to read their old Zion’s Watch Tower magazine and other old publications from that era. They might discover just how muddled the teachings were in the early days.